Got bored decided to make a 4K PVP themed map. This map has a terraced low level terrain with a stratum layering. It offers strategy and dynamics for those that wish to use them as well as plenty of flat areas for ease of travel/deeding. There are large steppes and deserts positioned evenly throughout the map and one ginormous HoTA steppe in the center of more than sufficient size to encompass a 400x400 HoTA zone. There is also a desert of approximately the same size as the central steppe just SW.
Mountains on the map are tall, but they are not super steep and most can be traversed via horse. The central landmass has no singular choke-points to one area, land based choke-points still exist but there are multiple to most areas. Currently using this map and everyone loves it! Thanks for sharing this!! Thank you so much for creating this map. 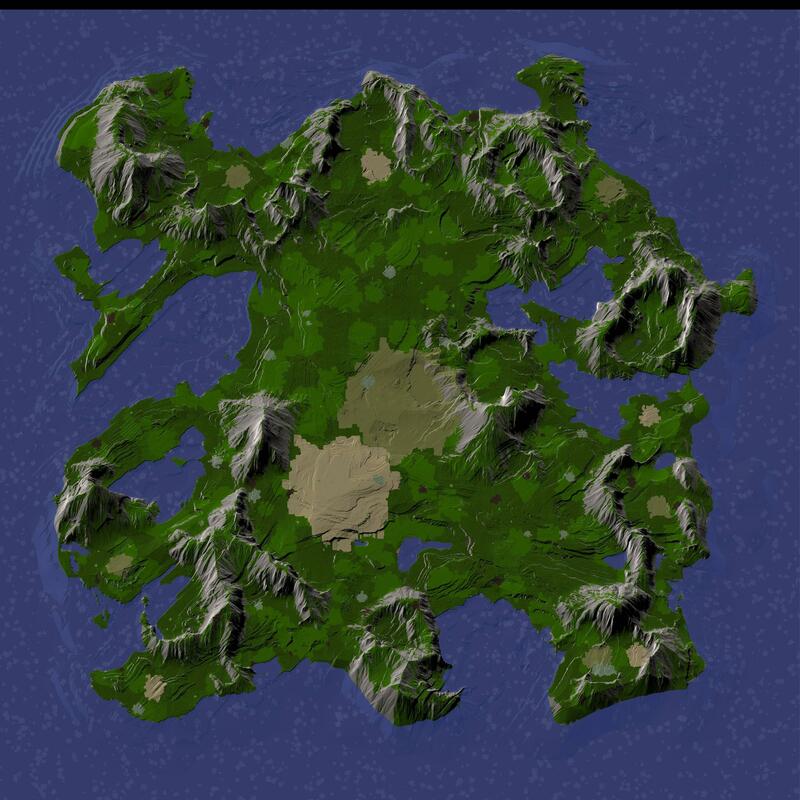 I am currently running this on my pure pvp server atm and my players love this map.